I invited my friend Riley to author a post for the blog, these are his words. My name is Riley McGrath. I’m a 20-year-old FTM transgender guy and my heart was left behind in Kingston Massachusetts. I am a lot of things; I’m an artist, musician, writer, twin, I’m queer AF, I’m an advocate and and an educator. I am a “man in progress,” a musical theatre nerd, and a hopeful explorer. I have a lot of love to give but I have a lot of work to do before I can be the man I want to be. I’m way too wise for 20 years old, but I’m glad that my experiences make me who I am. Do you want to know what makes me so wise? My life. My experiences. My challenges, defeats and triumphs, but also my regrets. When I think of the word regret, what comes to mind for me is the fact that I wasn’t able to tell my dad that I’m transgender. It was taken away from me. By fear, by time, by social media, and worst of all, by a family member. I lost so much the day he found out, but I realize now that I handled the situation incorrectly. I blamed myself. I could feel myself go through the stages of grief following this event. It wasn’t easy for me to watch my biggest fear come to life. What’s easy is beating yourself up for your regrets to cope with the event. It’s so easy to get lost in the hurricane of feelings that come with regrets. I’ve been caught up in this cycle of bad habits for a long time now. But at 20 years old, all I want to do is move on from things that have happened to me since I was 13. A change in mindset has recently taught me that moving on is possible. Gratitude has taught me that there are good things even in the worst of events. That sometimes light shines through the darkest of rooms. That even an event like being outed as transgender to my dad can be looked at in a positive light. Gratitude taught me that I should be grateful for having a family even after coming out. 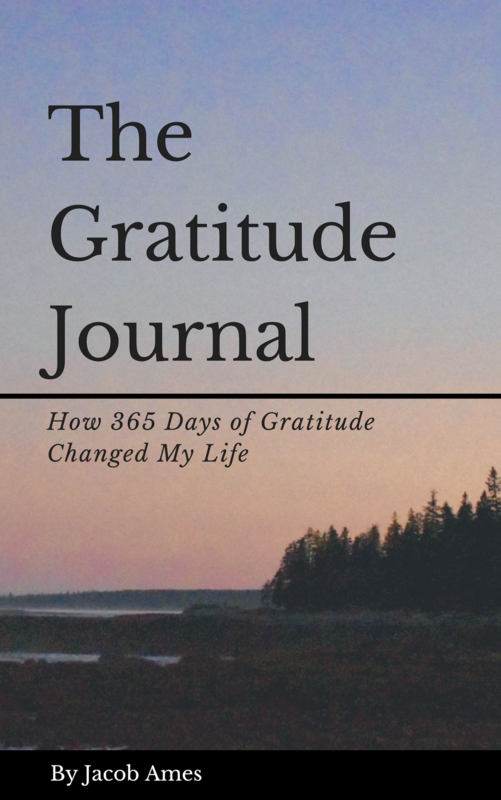 A big part of gratitude is being grateful for what we have, what we don’t have, what has happened, and the things we are privileged to never experience. I am slowly teaching myself that no matter how hard something is, it is all part of my journey and has made me into the person I am today. As someone who is new to self-love and gratitude, I am slowly learning to retrain my thinking and mindset. Gratitude is teaching me to be kind to myself, that it’s okay to have bad days, to love my journey and its process, and that seeing things in a different light change everything. Featured image of the lighthouse and harbor in Situate, MA from Riley. This was the gateway for him when he moved away from his hometown in Kingston. After finishing John Wooden’s A Lifetime of Observations today, his ideals and lessons gave me a lot to think about. His book focused on; character, compassion, preparation, faith, patience, leadership, and hard work among other teachings. His words resonated with me. Listening, stirred a feeling inside that makes me want to be my best. I will never be a perfect person. I need to allow myself the grace to make mistakes. All I can do is give my maximum effort in all circumstances. That much is in my control. I’m grateful for the lessons learned throughout my life. Learning and improving every day means being patient with my process. I’m grateful for the people who instill these lessons in me. At the end of the day, I’m the only one who can foster and create the best version of myself. I’ve been given these tools to succeed and it’s my job to make a change. I’m grateful for my process. It’s all part of the journey. Featured image of the pier from Southend. One of my favorite days in England. It was just me in that moment. The wind, the water, and time to reflect. Today I must have journaled for hours. I walked the mile-long pier and found a bench staring straight into the endless horizon. I sat in awe of the mighty current as the wind whipped across my face. I struggled to keep my page as the wind engulfed my entire being. With what felt like the promise of the storm, I decided to walk halfway back to the mainland and found some cover. There, I sat and reflected on this past year. It was almost a year ago to this day I was moving into UMass and starting my first year of graduate school. Life was different then. I was different then. I’ve learned a lot over the course of the year. I’ve made a lot of mistakes and encountered challenges I wish I handled differently. Having the time to journal and reflect on these things helps me be grateful in a different way. I’m grateful others have shown me patience and compassion. I’m grateful to be given support when I needed it the most. Holding myself accountable is important to me. Taking a hard look at my imperfections doesn’t make me a perfect person, far from it. My goal is to learn from these mistakes and when looking back, I’m grateful for these lessons I learn every day. Featured image from my time in Southend today. The walk to the pier, the time by the water, it all mad for a great day.